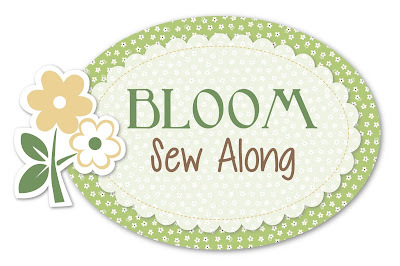 Bee In My Bonnet: BLOOM Sew Along - The Big Finish!!! 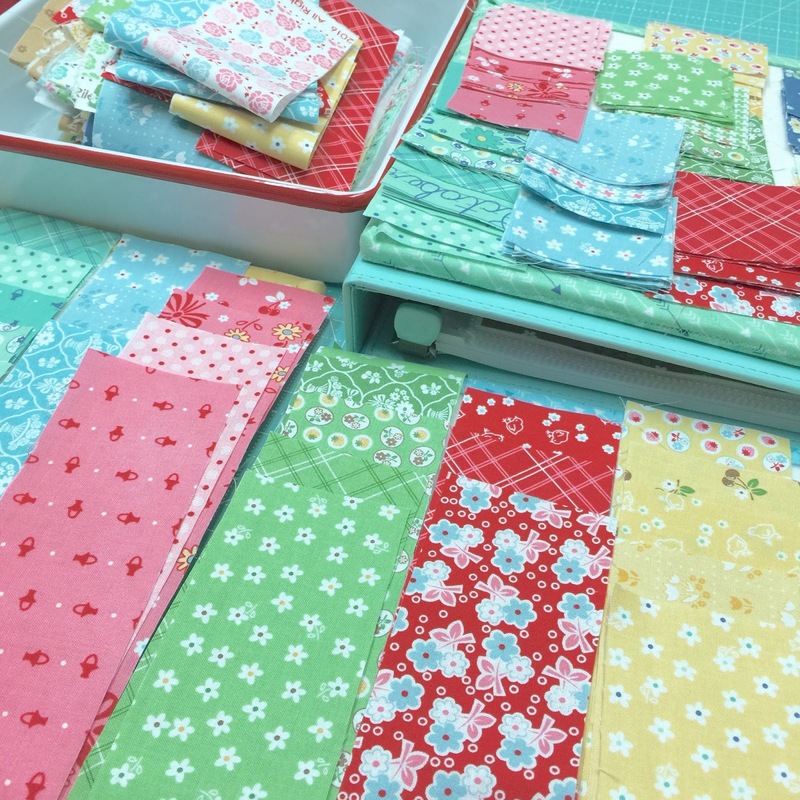 Well the last day of our super fun sew along is finally here. to audition for fabric placement before sewing. I took a few close-ups so that you can see how I asked her to quilt it. 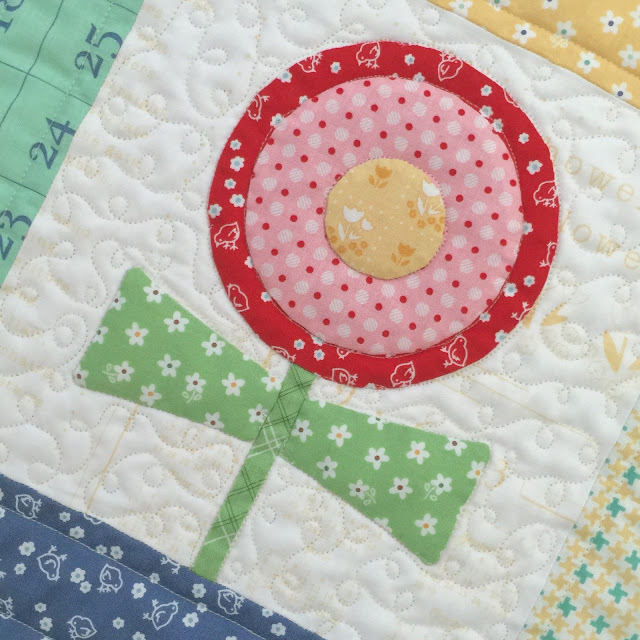 quilt ON the appliqués around the flower centers. 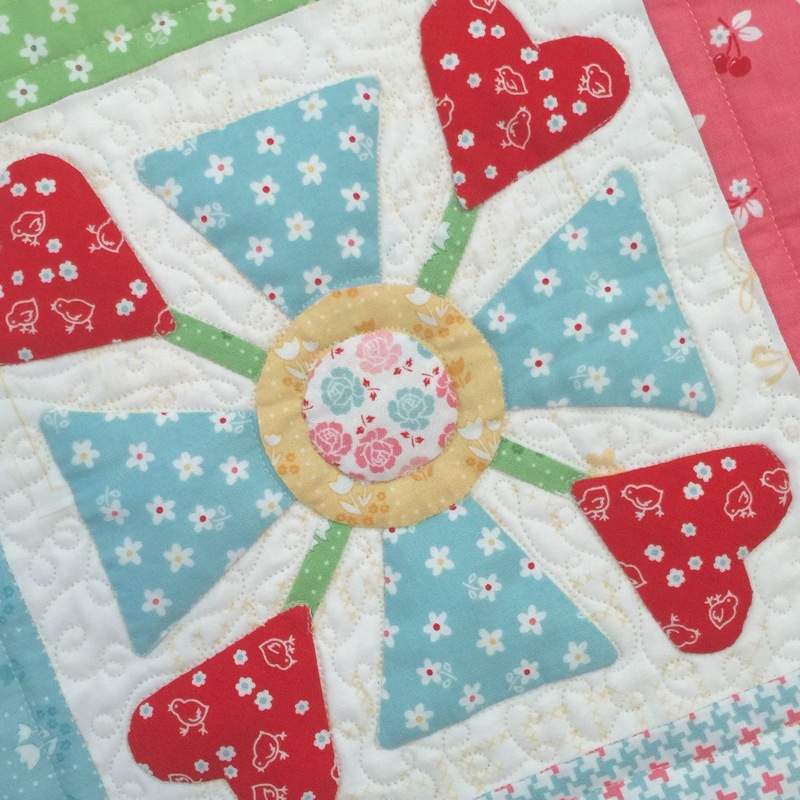 I love how the quilting compliments each block without taking away from the detail. 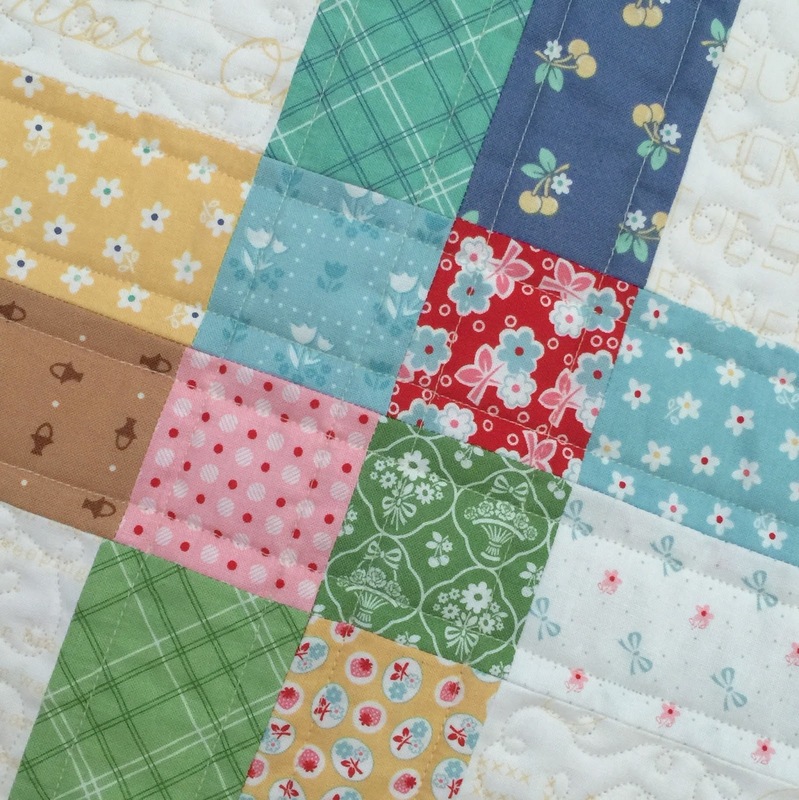 I asked Juli to do straight line quilting on the sashings like this. to download the free pattern. will still remain on my blog. on the right side bar of my blog. 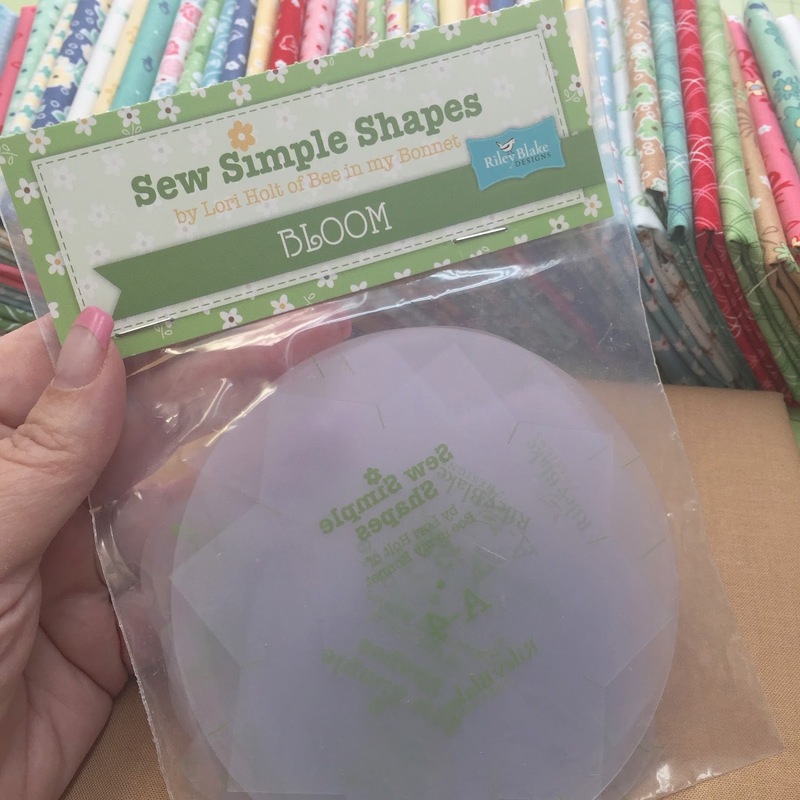 you sew the block that you are looking for and click on it! 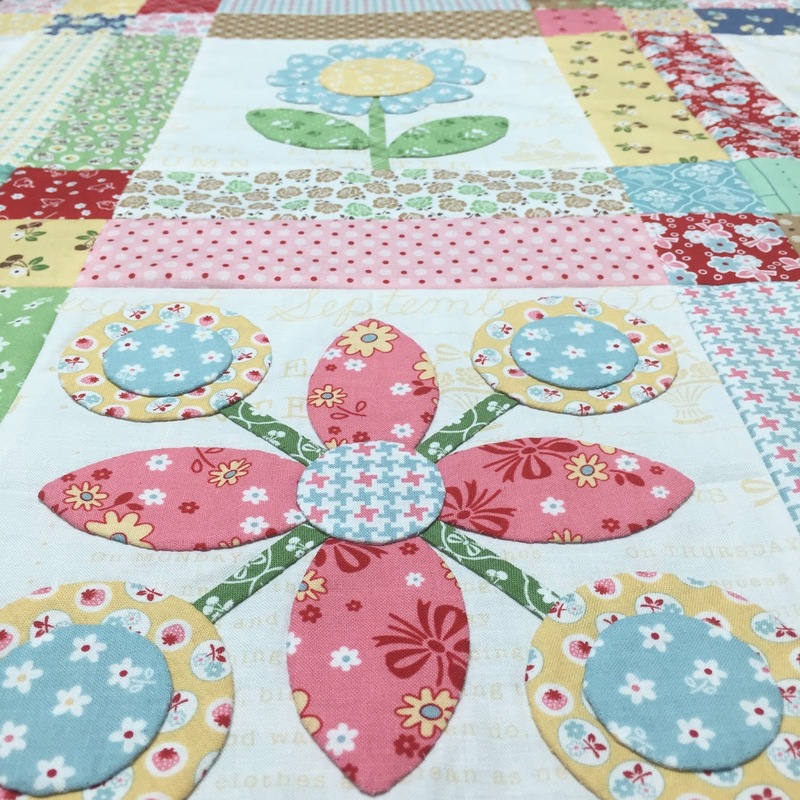 Thank you for allowing us to access your Sew Along Patterns after you have completed your quilt....have materials and your templates but have yet to start. Your tutorials are the best so I have no qualms about starting it when I can. Bless you for sharing! LOVE it!!!!! I have started....block 6 done, 3 more ready to stitch down so I am so glad the instructions will remain on your blog!!! Bought the Christmas shapes so I must get working on this to finish before the next one starts!!!!! Oh my, it looks so cute! I'm still working on the last block but hope to finish by early summer, thanks again for this fun sew along! 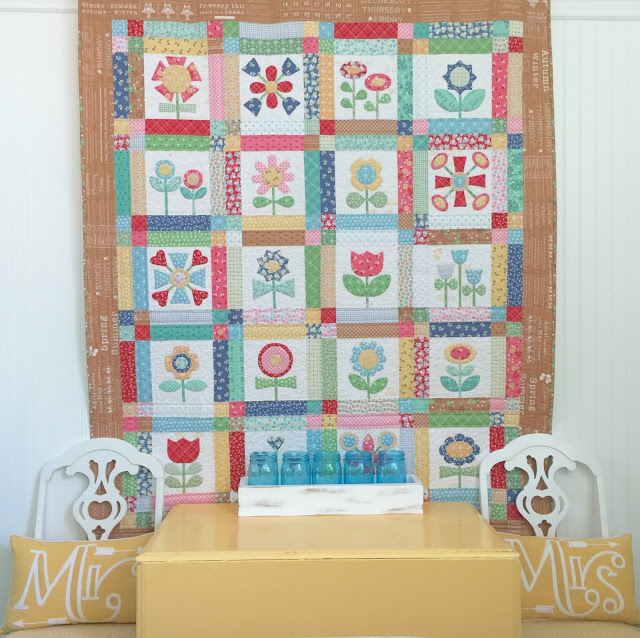 I have loved making this quilt. 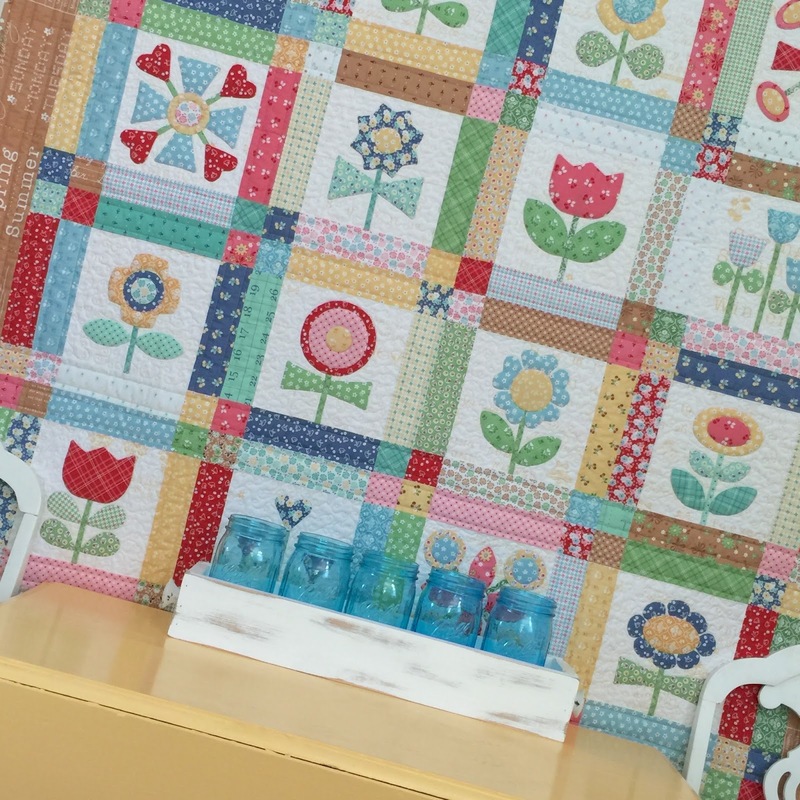 Thanks so much for the close-ups of the quilting. 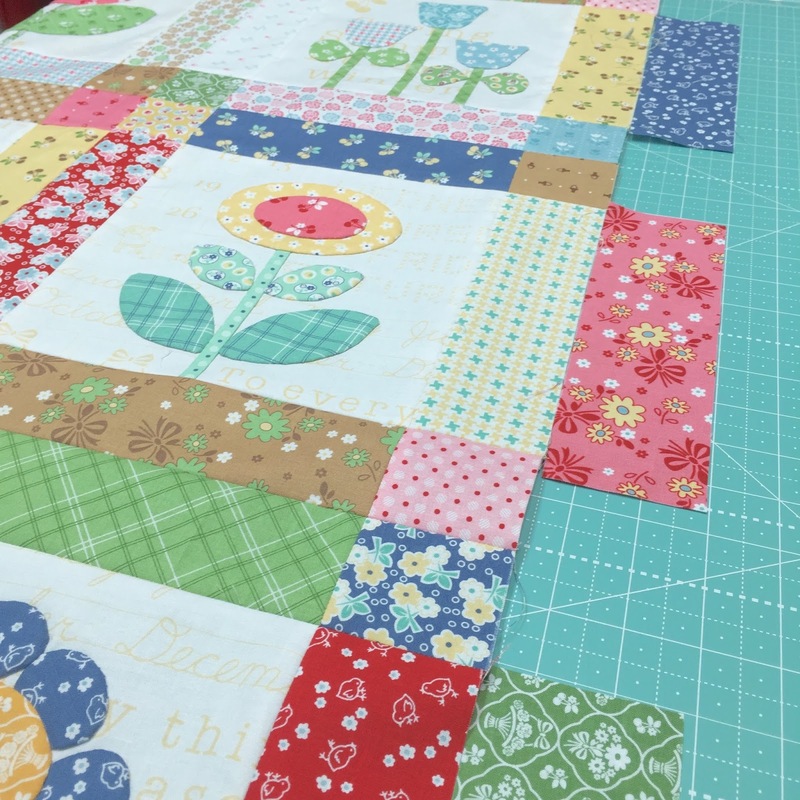 I was wondering how to best quilt the borders and squares. This gives me good ideas. 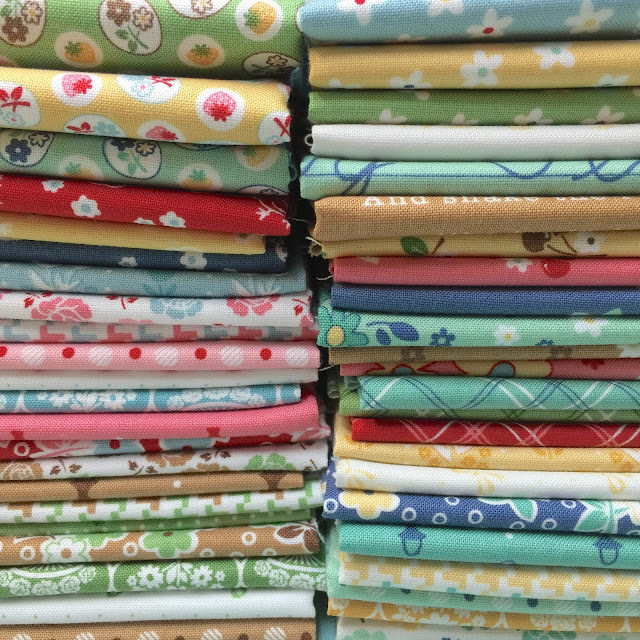 Can't wait for the next quilt along. Beautiful Quilt Lori...Our class is working hard to finish and we have been having so much fun. Anxious to start Cozy Christmas. I have mine quilted also. 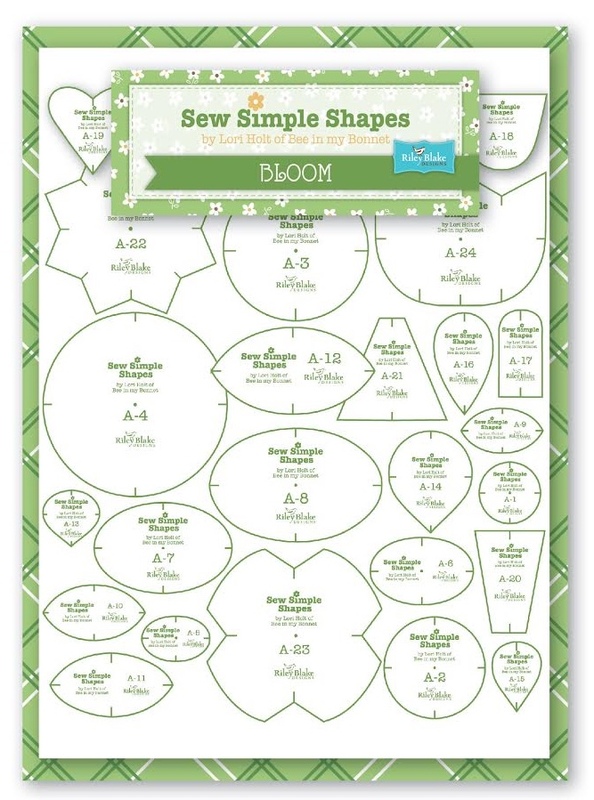 I also have the Christmas shapes, will you be starting another sew along soon? This one was sew fun! Thanks for the inspiration!! Felicitaciones!!! Tu has logrado un bello quilt. De flores con lindas formas y sencillas y con un colorido muy alegre. De todo mi gusto. (Congratulation!!! You have made a beautiful quilt. Flower with beautiful shapes and simple, with a colorful cheerful. Just my type. Thanks for this lovely SAL. I was wanting to follow along but was unable to get template till a later date. Hope I can get them at the same time your next ones come out. Happy Stitching. 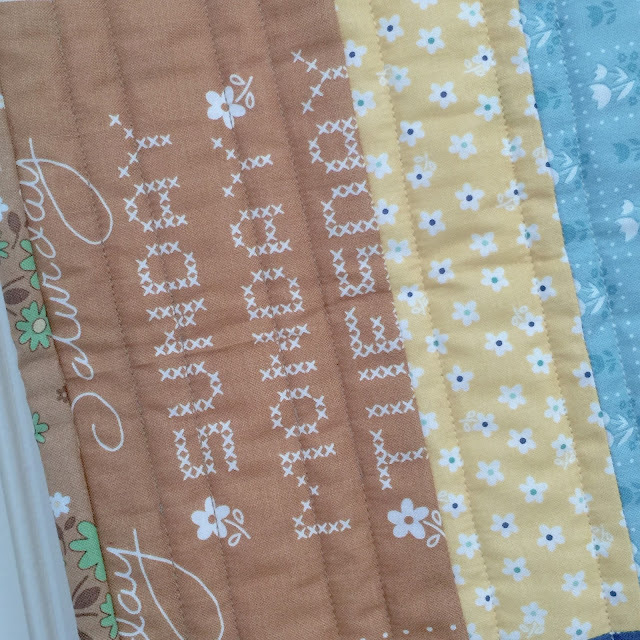 I have loved every week of making this quilt. I love every block and it has been so much fun. I have never done applique like this and I have so enjoyed it. Already bought the Christmas shapes and will be ready for the next one!! Lori, lovely as always! I just finished my blocks and I am putting it all together now! Based on your inspiration I am making a flower block of my own design for the label! You are amazing!! I am so excited for all of your products especially the cutting mats!! Congratulations!! I have all the materials for the Cozy Christmas and I look forward to sewing with you again in August!! How pretty this turned out! I have not been keeping up, but have the templates, fabric and your pattern so will be working on it at my next retreat. Thank you for the sew alongs. 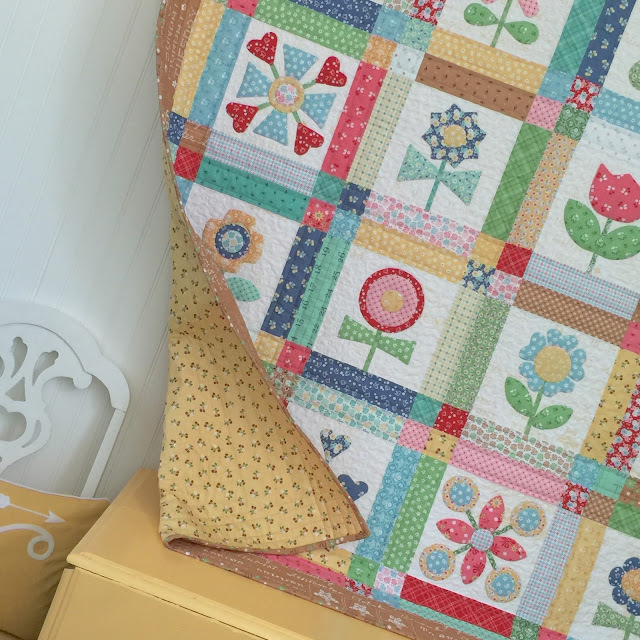 Still working on my Vintage Farm quilt as well. 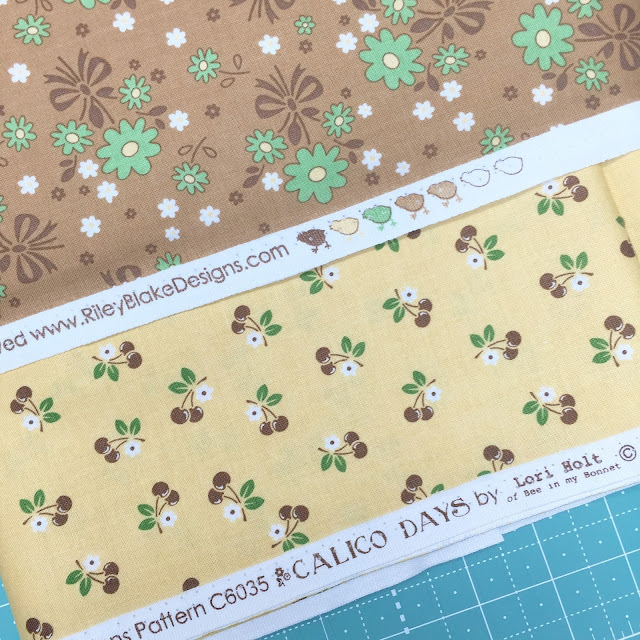 Love all of your designs and patterns, Lori. and all. Gonna have a long arm quilter, do this one for me. I had so much fun, loved the fabrics, and instructions. Enjoyed doing it each Monday. I already purchased the Christmas one, and getting it ready to go. Gonna do it along with you. My daughter also purchased it, and we are going to do it together. So excited.......Have a great summer, and look forward to August!. Yes, every celebration needs a cake. I'm a pastry chef by day and a quilter on the weekends. Thank you Lori for making this block. Of course I love it. I'm always late to the party 🙄 But just got your templates today at a quilt show!! I also bought the Christmas ones so I could be ready for the next project the lady told me was starting in August!! Thanks for leaving the Bloom directions up! I will be working on that over the next few months!! !